Jobsoid posts your job openings on your Facebook page automatically. Add a Careers tab on your Company Facebook Page to integrate it with your Jobsoid account. All your active job openings in Jobsoid will be automatically displayed in the Careers tab on your Facebook page. 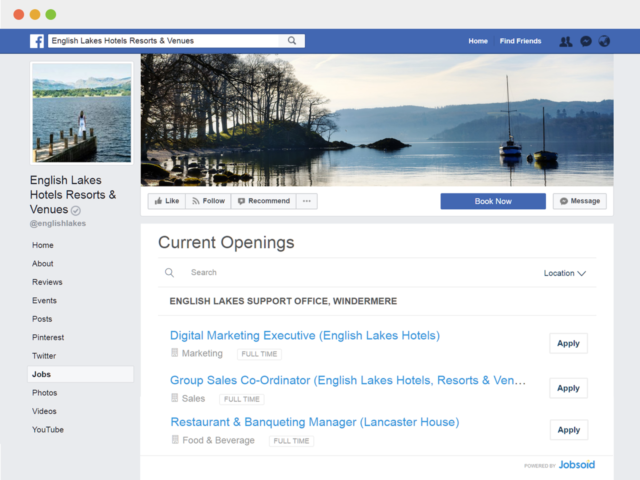 The candidates will be able to view all your active jobs and apply directly from your Facebook page.